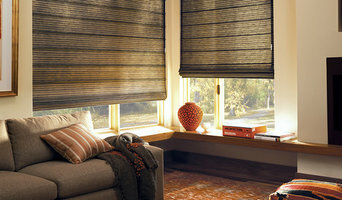 BlindSaver.com, one of the nation's leading online blind and shade retailers, offers top brands such as Bali, Graber, Levolor, M&B, Comfortex, and our very own BlindSaver Window Blinds & Shades. As an authorized dealer, all of our custom window coverings are made factory direct and shipped straight to your door. Founded in 1996, we began as a custom window treatment and home decor retailer in Denver, Colorado. After nearly a decade of serving the Rocky Mountain region, we expanded to the internet in 2003 and now offer the same great savings, service, and selection nationwide through our web site. Our rapid growth is a testament to our dedication to the highest level of customer service and satisfaction. What makes us a great source for all your blinds, shades, and custom window treatment needs? Helpful design advice; free shipping on orders (excluding some oversized shipments); up to five free product color and fabric swatches; a dedicated customer service team; an industry leading 100% Satisfaction Guarantee and our exclusive PerfectFit™ For You Guarantee! We have partnered with the industries leading window covering manufacturers to develop an exclusive line of custom blinds and shades that are not only beautiful, but excel in quality and workmanship. Our strong manufacturer relationships have also allowed us to secure some of the lowest pricing. Take a moment to browse our BlindSaver brand and you'll quickly realize the value and quality. We understand that window coverings can be a large investment, and we work hard to make your purchasing experience as easy as possible. Colorado Blinds & Design is a full service window coverings and interior design company. Our showroom is located in Loveland, but our window covering specialists provide free in-home estimates all over Colorado for over 34 years. 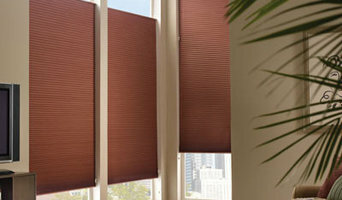 We can help you with blinds, shades, draperies, motorized shades, shutters, roman shades and more. Unlike many other companies, we have our own custom drapery workroom to create custom window treatments exactly to your specifications. We make your project fun! Made in the Shade Blinds and More! 3x Best of Houzz Winner! Made in the Shade Blinds & More offers the best window covering products in the industry with exceptional service and affordable prices. Our advantage is that we bring the showroom to you with our shop-at-home convenience. At Made in the Shade, our personalized service includes a complimentary consultation, complete with free measuring and a free estimate. This service allows you to see various window coverings in your own environment, enabling you to see how light, room colors and furnishings affect your options and choices. You will find quality, name-brand window coverings at GUARANTEED LOW PRICES, and every purchase is backed with a manufacturer’s limited lifetime warranty. Our goal is to have completely satisfied customers every time. So, let us provide you with the most pleasant window covering shopping experience ever! TNT Home Improvements is the premier home improvement team in Loveland, CO, offering deck building, patio and deck covers, window installation and much more. We’re licensed in 35 different municipalities for your convenience and peace of mind, and also provide free estimates. A custom deck can be a distinguishing feature for any home or business. Whether you’re building a new home, office or restaurant or looking to add a deck to an existing structure, make sure TNT Home Improvements is your source for high quality deck building in Loveland, CO. For over a decade, our licensed and insured team of professionals has been providing outstanding customer service, unique custom design and expert workmanship in the creation of attractive and functional decks for residential and commercial clients, and we look forward to welcoming you into our family of happy customers. TNT Home Improvements has an engineer on staff to provide knowledgeable oversight on any project, regardless of its size or scope. We also provide 3D CAD designs to help you visualize your finished deck. In addition to being the premier deck builder in Loveland, CO, we offer installation of patio covers, windows, siding and more, and we’re happy to provide free estimates for all projects. When you’re planning a major home improvement project such as deck construction or patio cover installation, you need to know that the team you’ve trusted with the job is highly capable, professional and courteous. When you turn to TNT Home Improvements to be your deck contractors in Loveland, CO, those qualities are exactly what you’ll get. Here are a few more reasons to do business with us: We are a fully licensed and insured deck building company. We’ve been a locally owned and operated small business in Loveland, CO area since 2005. Our licensed engineer oversees all projects. We work on decks, patio covers, windows, siding and more. We offer free estimates and competitive rates. I specialize in all aspects of new home construction and remodeling services. Over 20 impeccable years of service in the new home construction and remodeling industry. Strive to stay up to date with current local building codes. Committed to superior quality and results. Well known for creating beauty and structure to many communities throughout the USA. Have a passion for helping my clients reach their goals and watching their vision prosper to a reality. Additions, framing, siding, new windows and doors, kithen cabinets, bathroom remodel, custom decks design/build, flooring, basement finishes. From our origins in the Window Treatments industry Colorado's Design Window Treatments (Window Blinds, Drapes & Shades) has always been driven to provide the highest-quality Window coverings services, Window Blinds, Custom Draperies and Window Shades to Denver, Boulder, Longmont, Loveland, Fort Collins and surrounding areas. Colorado Deck and Landscaping Company, Inc. comes back to the site to measure the home. A base (site Plan) supplied by you at the previous meeting is used in this analysis. All existing structures are located as are existing plant material and the locations of items such as faucets, air conditioners, electric service & gas meters. We take pictures of the house & pertinent views that need to be enhanced or screened. At this time, we also measure elevations across the property to identify the need for grade change, retaining walls, etc. Colorado Deck and Landscaping Company, Inc. will lay out the base plan showing all the existing features and grade elevation. Colorado Deck and Landscaping Company, Inc. then starts the design process that evolves into a preliminary plan for your property that includes all aspects including hardscape details with grades, planting details and night lighting. A preliminary cost analysis is also derived at this point. We will invite you to come to our facility to review the preliminary design and cost estimate. We have numerous design details for you to view on display in our gardens which will help you visualize the design we have done for your property. Modifications in the design will be discussed and implemented at this time. The preliminary budget will also be discussed at this meeting. 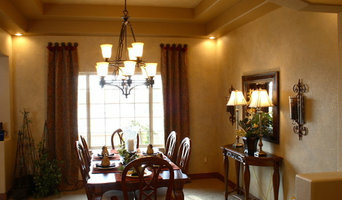 Innovative Openings has been providing quality window coverings to Colorado for over 30 years. Our knowledgeable and friendly sales staff guide our customers towards window coverings with the ideal mix of functionality and style, and our experienced service team keep the shades working beautifully. Visit our recently expanded and remodeled factory showroom located in Louisville (see map) to see our wide range of products on display, or to drop off your existing shades to our repair facility where we perform most blind and shade repairs within 24-72 hours. We’d love to help you find the perfect window coverings for your home, so please don’t hesitate to stop by our showroom or contact us about setting up an in-home appointment today! 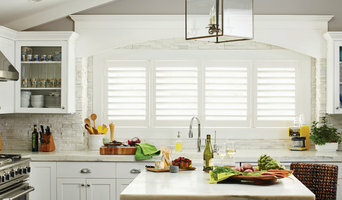 *Hunter Douglas Authorized Dealer* Colorado Shades has proudly served the Ft Collins, Boulder, Jefferson County, Denver Metro, Castle Pines, Douglas County, Castle Rock and Colorado Springs areas since 1986. Colorado shades is your local resource for your interior design needs. We carry window coverings, retractable awnings, curved glass sunroom shades, Hunter Douglas window shades and canopies. We have products from trusted brands such as Hunter Douglas, Sunesta Awnings, SUNSETTER AWNINGS, SUNSHIELD CURVED SUNROOM SHADES, KELLER MINIMAL WINDOWS, SHADE FX. You can count on the knowledgeable – and friendly – professionals at COLORADO SHADES to coordinate your decorating project from start to finish. Our distinctive service includes the best national brands, professional measuring, experienced installation and stylish design, all provided with a local flair since we’re independently owned and operated. You’ll find everything you need to transform your living space into your dream home! Shade-Outdoor Living Solutions, is a Littleton Colorado awning company that takes pride in providing service for over a century. We provide sun and weather control devices for our customers enjoyment; indoor and outside the home or business. We are committed to providing our customers with exceptional outdoor living solutions, customized to meet their specific and unique needs. We are a full-service window fashions outlet. We measure, design, fabricate, and install any type of window coverings. All of our high quality shades & draperies are handcrafted in our Denver facility. Our wonderful team is ready to help with your next project, give us a call for a free in-home consultation!